I was raised in a household that collected things. We visited antique stores looking for Wallace Nuttings and spode dishes. It was a big part of my childhood and while I didn’t always like it,I have an appreciation for it now. Fast forward, I don’t collect antiques but there are two things my house is currently full of: coffee mugs and cookbooks. Once a month I head to the local used bookstore to pick up used cookbooks. I thumb through them, collecting ideas that might have once been forgotten or never caught on. This particular recipe can be credited to Whole Grains Every Day, Every Way. The author has a no-nonsense approach to grains and some small, but powerful ways of using whole grains. One of my biggest complaints with amaranth is that it doesn’t cook like other pseudo-grains (mainly quinoa). Turns out, I wasn’t completing the process. 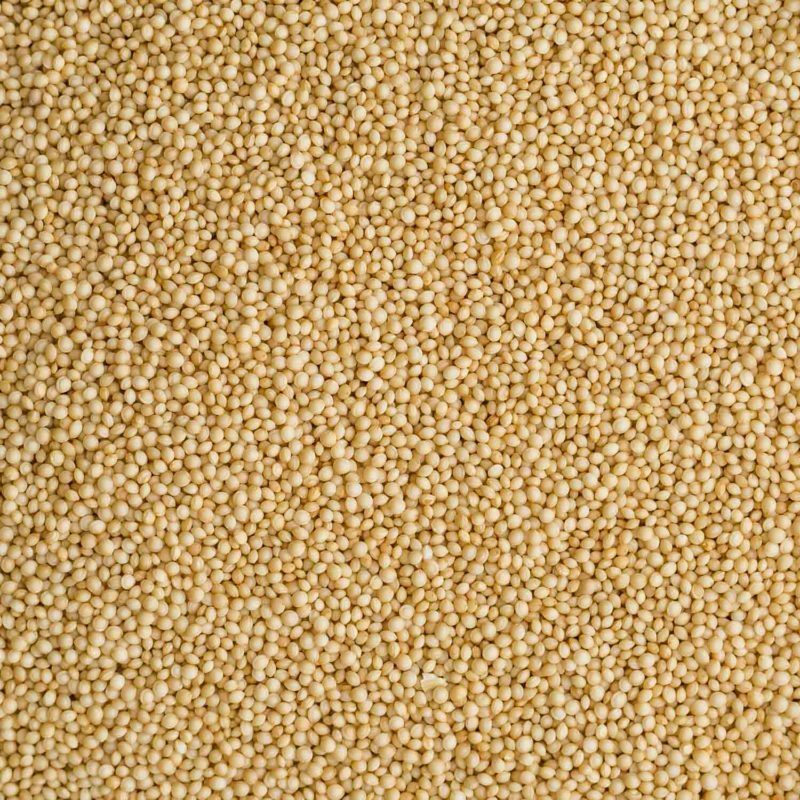 If you give cooked amaranth a good rinse, the end result is less porridge, slightly more quinoa-like texture. Perfect for grain bowls, pilafs, and even this amaranth salad. 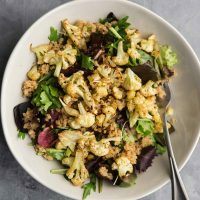 Cauliflower roasted with coriander is paired with the earthy flavor of cooked amaranth to make a filling, fresh salad. Preheat the oven to 400˚F. 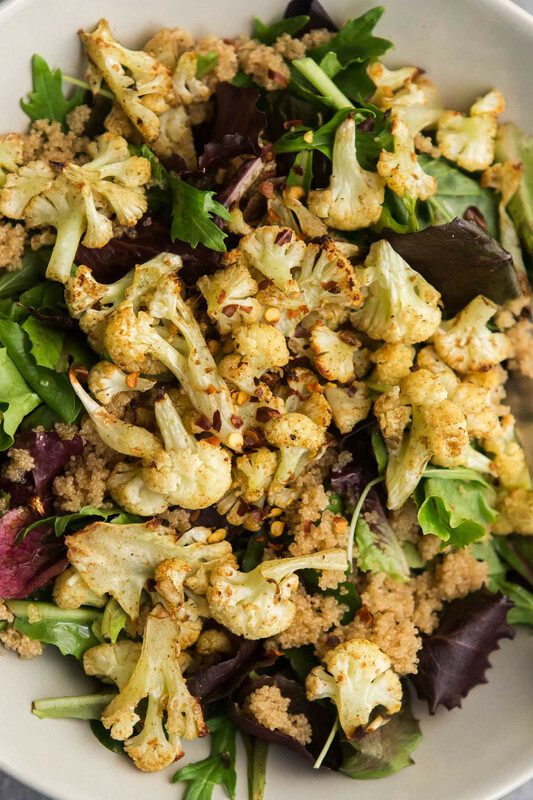 Toss the cauliflower florets with the olive oil, coriander, and salt. Spread into a single layer in a roasting pan. Roast until the cauliflower is tender and lightly charring. While the cauliflower is cooking, combine the amaranth with 1 ½ cups water. Bring to a boil, reduce to a simmer, cover, and cook until the amaranth is tender. Once the amaranth is tender (the consistency will still look a bit porridge-like), place in a nut-milk bag (or something similar- as long as the amaranth can’t slip through.) Rinse the amaranth and squeeze out as much of the water as you can. 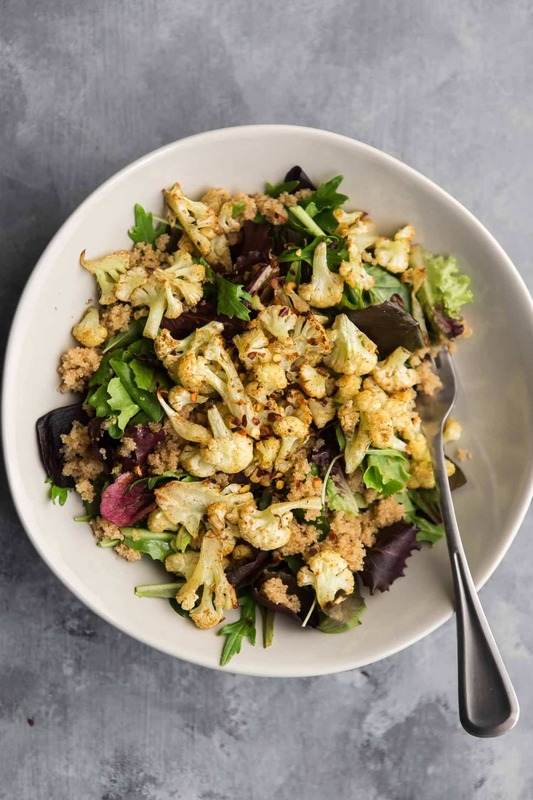 Place the rinse amaranth in a bowl and combine with the cauliflower and lettuce. Drizzle dressing over the salad and toss until well combined. Serve with a sprinkle of red pepper flakes if desired. Tips & Tricks: You can make the amaranth ahead of time or use a quicker cooking grain like quinoa or bulgur. Amaranth is a pseudo-grain I do not use near enough. An early, disappointing experience left me pushing amaranth to the back of the pantry. However, the more time I spend with the grain, the more I like it. Of course, you could easily swap out the grain for something more to your liking but I highly recommend playing around with this tiny seed. Grains: Swap out amaranth for your favorite grain. I like quinoa, bulgur, or freekeh; all of which are quick cooking. Vegetable: I love the floral taste of coriander and use it quite liberally in my cooking. Beyond cauliflower, I love roasting winter squash and sweet potatoes with coriander or even adding a sprinkle of ground coriander right into my lemon vinaigrette. 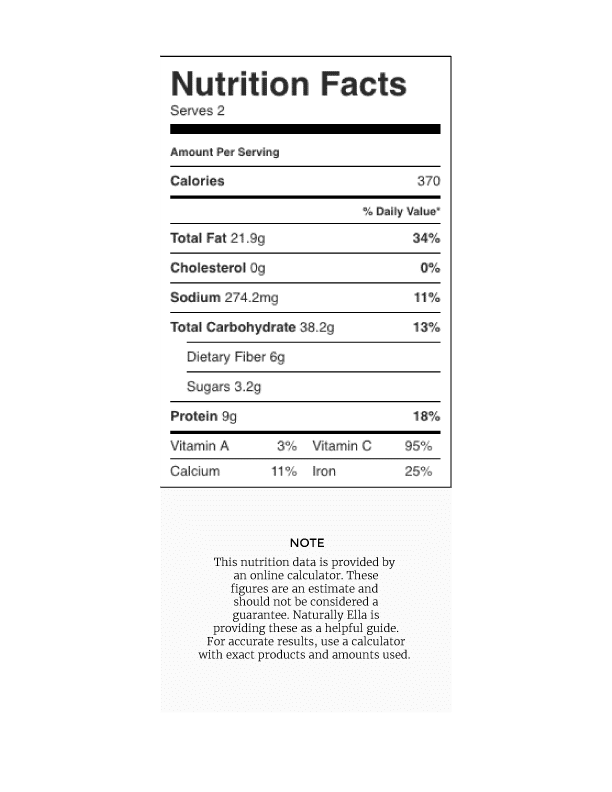 Greens: Swap out the lettuce for spinach or kale. I soak amaranth overnight before boiling It for 10-15 minutes, as this is what It says to do on the package. It doesn’t turn out porridge like at all. Maybe that’s the secret?